Aluminum cup with carabiner handles easily attach to a day pack, backpack or purse. 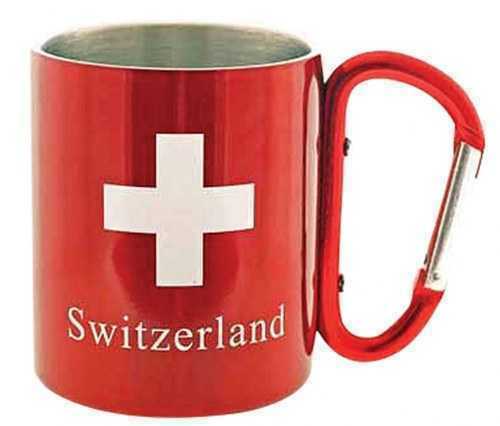 Red, Swiss Cross and “Switzerland” design. Service Area: New Glarus, Beloit, Janesville, Freeport, Rockford, Whitewater, Baraboo, Roscoe, Monroe, Oregon WI, Platteville and surrounding communities.